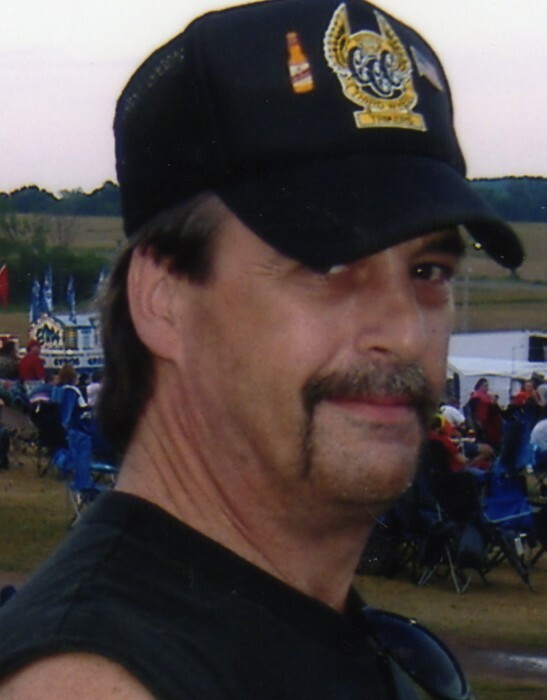 Tracy Edward Murphy, 59, of Chippewa Falls, died Saturday, April 13, 2019 at Sacred Heart Hospital in Eau Claire. He was born on March 9, 1960 in St. Paul, MN to Joanne (Sistola) and William Murphy. On July 4, 1980, he married the love of his life, Julie Kjorlien at Holy Ghost Catholic Church in Chippewa Falls. They resided in Chippewa Falls where Tracy worked for Spectrum Industries for over 30 years, retiring in 2015. Tracy loved to fish, cheer on the Minnesota Vikings, and ride his beloved trike, which was his second baby…maybe sometimes, his first! He also enjoyed spending time with his friends and bike club members. The trike certainly became second once his grandkids were born. They melted Tracy’s heart and he found himself playing dolls and going on kiddie rides at the fair with little Phoebe, and snuggling and playing with baby Maxton. He was preceded in death by his parents and a brother, Michael “Spook” Murphy. A funeral service will be held at 7 p.m., Tuesday, April 16 at Pederson-Volker Funeral Chapel, Chippewa Falls with Fr. Justin Kizewski, of Holy Ghost Catholic Church, officiating. Visitation will be from 4 p.m. until the time of service at 7 p.m., Tuesday at the funeral chapel. As planned Tracy will be cremated and moving to Tomahawk, WI with his wife Julie in the future to be with his daughter and grandchildren.